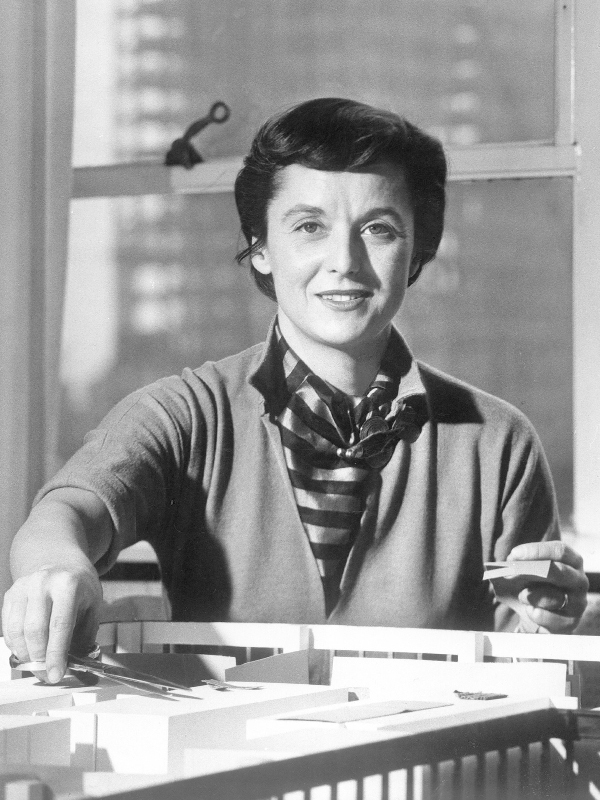 Florence Knoll (née Florence Schust) was born in Michigan in 1917. As a child, she was enrolled in the Kingswood School, a division of the Cranbrook School of Art. Eliel and Loja Saarinen, parents of architect Eero Saarinen, quickly noted her talents, and she became a close friend of the family often joining them on vacations to their summer home in Finland. In 1935, Knoll studied urban planning at Columbia University and continued her degree at the Architectural Association of London from 1938 to 1939. World War II brought Knoll back to the United States where she finished her degree in architecture at the Illinois Institute of Technology in Chicago studying under Mies van der Rohe. After graduating, Knoll moved to Massachusetts to work in the office of Walter Gropius and Marcel Breuer.